The Daily Mail has said a decision by Wikipedia editors to ban references to its articles for sourcing entries is a “politically motivated attempt to stifle the free press”. The Daily Mail and Mail Online publications were the subject of a debate this week among a section of the self-regulating community of voluntary Wikipedia editors, most of whom post under pseudonyms. It began when one editor, called Hillbillyholiday, proposed a “request for comment” from the editorial community on whether it should “prohibit the use of the Daily Mail as a source”. The motion passed within 24 hours, supported by 58 out of 84 editors. It stated: “Consensus has determined that the Daily Mail (including its online version, dailymail.co.uk) is generally unreliable, and its use as a reference is to be generally prohibited, especially when other more reliable sources exist. Editors said support for the ban “centred on the Daily Mail’s reputation for poor fact checking, sensationalism, and flat-out fabrication” and encouraged volunteers to “review” and “remove/replace” the many thousands of existing citations on Wikipedia referencing Mail stories. The ban was opposed by some members, with one stating: “There is no justification for the blanket banning of a mass-circulation newspaper as a source. There will be cases where it is a suitable [as a] source. Mail Online publishes around half a million stories a year. According to Press Gazette analysis the Daily Mail and Mail Online had four adjudications upheld against them each under the first two years of press regulator IPSO (to September 2016). 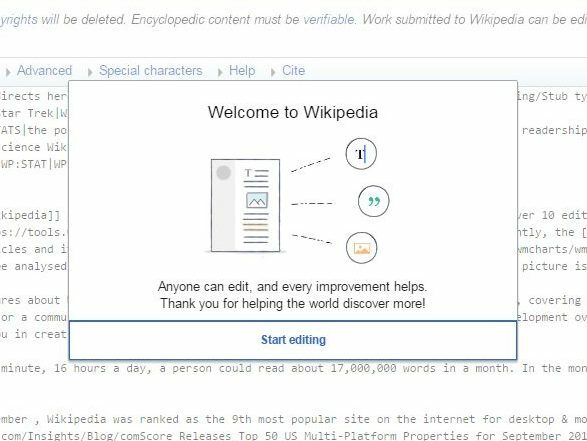 Anyone can edit a Wikipedia page by simply clicking on the “edit” button along the top of an article and signing up for free. There is no vetting process and only deliberate “vandalism” will invoke arbitration. A spokesperson for Mail Newspapers said: “It is hard to know whether to laugh or cry at this move by Wikipedia – a website that is notorious for its own inaccuracy and false truths, and which was co-founded by a man who doctored his own biographical entry. “For the record the Daily Mail, in common with most reputable academic institutions, banned all its journalists from using Wikipedia as a sole source in 2014 because of its unreliability. “Last year, the Daily Mail and Mail Online together published more than half a million stories and yet received just two upheld adjudications each for inaccuracy from the UK Industry’s regulator IPSO. “This so-called ban by Wikipedia came at the end of a month-long ‘debate’ – triggered by a clearly obsessive newspaper-hater who hides behind the pseudonym ‘Hillbillyholiday’ – which attracted just 75 votes from Wikipedia’s 30 million anonymous registered editors. “The debate makes it abundantly plain that the majority of those calling for the Mail to be banned were driven primarily by political motives. “The so-called ‘vote’ was then endorsed by five anonymous administrators after a secret email exchange and then deliberately leaked to the media. In response, Hillbillyholiday said: “Thanks, Bounder… really didn’t expect the RfC [Request for Coment] to pass and was beginning to regret using Mail-style tactics of blatant sensationalization [sic] and flagrant misrepresentation of sources; it seemed rather ‘poetic’ at the time. In a leader column today, the Times said Wikipedia’s ban on the Daily Mail was evidence of a “promiscuous extension of the phrase ‘fake news’ to cover stories and publications that the complainer happens merely to dislike”. On the Daily Mail ban, Juliet Barbara, director of communications at the Wikimedia Foundation, said in a statement: “Editors have discussed the reliability of the Daily Mail since at least early 2015. “In January 2017, an RfC (Request for Comment) discussion was proposed to evaluate the use of the Daily Mail as a reliable source on English Wikipedia. This is one of many community discussions that take place every day about a broad range of issues, including reliable sources. “In this case, volunteer editors seem to have come to a consensus that the Daily Mail is ‘generally unreliable and its use as a reference is to be generally prohibited, especially when other more reliable sources exist’. “This means that there is a general recommendation according to this discussion that the Daily Mail not be referenced as a ‘reliable source’ on English Wikipedia or used to demonstrate an article subject’s notability. “That said, I encourage you to read the comments in the RfC itself. You will find considerable discussion on the topic, including views both for and against the proposal. Wikipedia is a living, breathing ecosystem where volunteers regularly discuss and evolve the norms that guide the encyclopaedia. 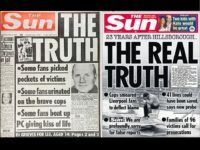 Rupert Murdoch, who I’m sure echos the thoughts of most tabloid editors, lashed out at a group of offended readers complaining about inaccuracies about 20 years ago and said “start your own bloody newspaper then”. Simple Daily Mail: start your own on-line encyclopedia and quit moaning. The irony of the Mail of all people calling Wikipedia’s volunteer editors “a handful of anonymous activists who appointed themselves as censors” when Mail hacks actually get paid to write the more often than not, spin and inaccuracies posing as news and also decide they are the self appointed ‘censors’ and arbiters of public behaviour. Talk about pompous. 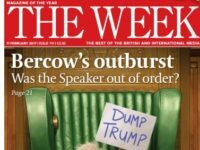 It still hasn’t dawned upon the assembled hacks & editors of the dying gutter tabloids that not only is their reputation with the public lower than that of a black snake’s and their ‘trade’ ranks even lower than lawyers, they continue to lash out at all & sundry. They confuse readership figures with agreement when more often than not, it’s just folk looking for cheap titillation. It’s often the way with a dying industry where those facing extinction are at their most dangerous and nastiest. And they expect sympathy for their plight when the way they have viciously attempted to pervert democracy with their underhand lies and deceitful political manipulations, they will be lucky, when the axe finally comes, to find a member of the public that would trust them to wash their car.